Do you have a child who plays soccer? Are they in need of some help in learning how to kick the ball properly? Don't hesitate to look anywhere else then the one and only SockIt! My 4 year old daughter LOVES to play soccer. She is at that age where she can get frustrated easily and sometimes wants to give up easily when playing sports. When I heard about SockIt, I had to look into what it was all about. I am so glad I did! This thing is a life savor. Basically the first step is to slip this thing on your child's soccer cleat. 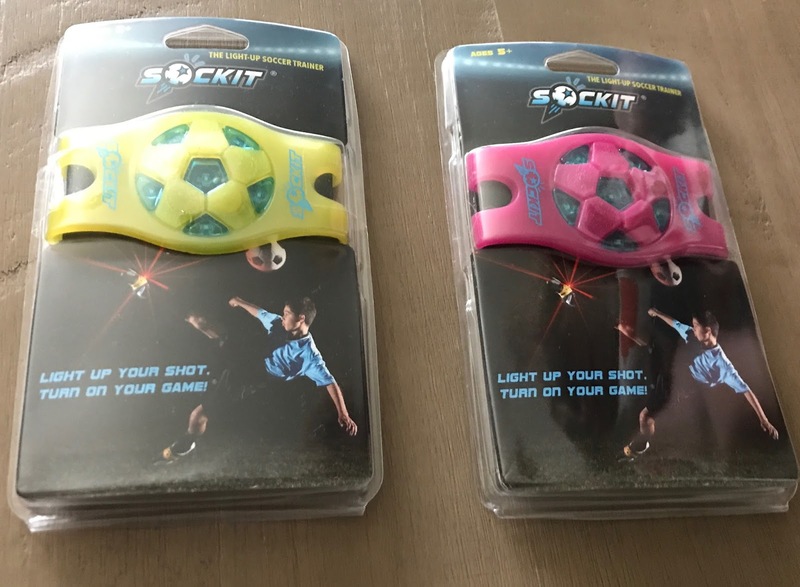 While your child is kicking the ball, if they kick it correctly the SockIt will light up. 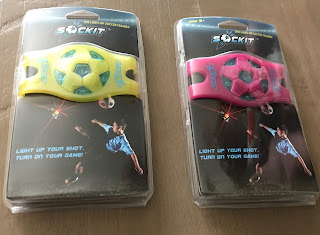 This makes learning the game fun for all ages, provides instant feedback, helps promote development for all things related to soccer techniques, etc.! Not only is it easy to setup (slip on and off), but its made of great material that seems like it will last all types of wear and tear. For the price, quality and help with soccer techniques, it's well worth the buy!